• The Winter Garden was Pittsburgh’s third indoor rink. • One of Pittsburgh’s earliest women’s league formed at the Winter Garden. • The 300 x 140 feet sheet of ice was was bigger than today’s international size rinks. The only man inducted into the College Football and Hockey Hall of Fames played his last competive hockey game at the Winter Garden in the Steel City on March 24, 1917. Baker joined the service shortly after the United States entered WWI on April 6, 1917. Baker died when his plane crashed in France in December 1918. Even the large ice at the Winter Garden did not deter him. The extra space made him even more noticable. PITTSBURG PRESS, 1917 newspaper article describing the action of Hobey Baker at a game at the Winter Garden. Organizers were determined to have a venue that offered the feel of a county fair with the mystique of a World’s Fair but instead ended up with an indoor hockey rink. A year after the society formed, Pittsburgh city council approved the purchase of land at the Point along the shore of the Allegheny River and granted a lease for 50 years. Life memberships and popular subscriptions raised nearly $1 million to complete the construction. Joseph Stillburg was the architect for the buildings, Murphy & Hamilton built the main building, and the Marshall Foundry & Construction Company assembled Machinery Hall, which was built entirely of iron and glass. The first Exposition took place in September 1889 and was not exclusive to residents of Pittsburgh; people were drawn to the Point from western Pennsylvania, eastern Ohio and West Virginia. 1905: The Exposition (foreground) was located across the Alegheny River from Exposition Park, Home of the Pittsburgh Pirates baseball team. 1907: A view of The Exposition, looking south into the city’s Point. The Exposition was a great spectacle for two months every autumn. During its peak at the turn of the century, the Expo had a daily average attendance of 10,000. Many were attracted to the automobile, poultry and trade shows while others gathered to enjoy the best orchestras and bands in the nation. Victor Herbert, John Phillip Sousa and many world renowned symphonies filled the hall with music. Fashion shows from New York and Paris attracted high society women while free samples of balloons, popcorn and dairy products captured the attention of ordinary citizens. A roller coaster, ferris wheel and merry-go-round captivated the children of the region. The complex had 100,000 square feet of exhibit space, an art gallery and the Music Hall that held 5,500 patrons. People travelled from great distances to join the locals; many wealthy patrons travelled up the Mississippi and Ohio rivers to moor their houseboats along the Allegheny’s shore behind the Exposition site. The Exposition enjoyed great success before a disaster struck. The majority of the complex was destroyed by a fire on St. Patrick’s Day in 1901. Wind-blown embers from a stable fire on Duquesne Way engulfed the great Main Hall. Machinery Hall was the only survivng building on the six acre site. Most of the Exposition was rebuilt at a cost of $600,000 and included new versions of Machinery Hall, the Main Hall and the Music Hall. The new Main Hall was constructed of steel, stone and massive brick walls, and, “nothing short of an earthquake would cause it to even shake,” according to a 1918 city guide book. The Main Hall’s heavy doors were adorned with cut white stone and the interior was smartly decorated and illuminated by 1,500 incandescent lights under a vaulted and girdered ceiling. After the Expostion of 1915, chiller pipes and concrete were added to the floor of the Main Hall to convert it into an impressive sheet of ice. The Winter Garden used the latest technology to produce hard, dry ice. The refrigeration plant was located in Machinery Hall almost 500 feet away and circulated a brine solution through 125,000 feet of pipe below the ice surface. The system pumped the solution at a rate of 15,000 gallons every minute to produce a minus 30 temperature on the floor. 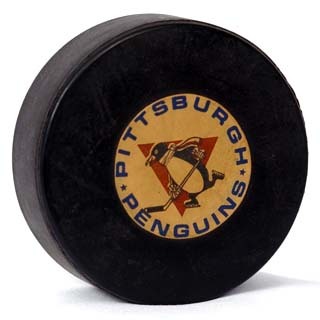 Many teams in the Western Pennsylvania Hockey League (Pittsburgh Duquesne, Pittsburgh Lyceum and Pittsburgh Fort Pitt) used the Winter Garden and a local women’s hockey league was founded. The size of the ice made hockey matches grueling tests of endurance and heavily favored the home teams. Visitors found the 300 x 140 feet sheet too expansive. By comparison, today’s NHL rinks measure 200 x 85 feet. World War I and a polio epidemic forced the annual Exposition to an end in 1916, but the Winter Garden was still in operational from November 1 to April 1 for the next four years. The biggest hockey match witnessed at the Winter Garden featured the great Hobey Baker on March 24, 1917. Baker, a star football and hockey player from Princeton, played an exhibition game with his “all-star” cast of players from Philadelphia. Baker scored all three Philadelphia goals, including a the winner in the third overtime. The last local hockey match was played in the spring of 1920. An agreement of sale of the Exposition property was reported in the April 9, 1920 edition of The Pittsburgh Gazette, but a transfer was never finalized. Pittsburgh city council agreed to an annual lease of $30,000 and used the Expo property for the city’s auto pound. An effort to revive the site failed in 1934 when the city unloaded what city controler James P. Kerr called a “white elephant,” by ending the 20-year lease. The Music Hall was demolished in 1941 and Machinery Hall was dismantled in 1942 to secure scrap metal for the World War II effort. The Main Hall was the last remaining building until July 2, 1951 when the structure was torn down to make way for the 37-acre Point State Park. Site preparation of Point State Park began after the Winter Garden (lower right) was razed in 1952.